uPVC windows are a great addition to any home, but if you’ve had yours for many years, they may be starting to look tired and worn down. If they were poorly installed to begin with, they may need replacing even though you haven’t had them for long. It’s not just their appearance that begins to deteriorate, their performance does as well. This is why when it gets to this stage, it’s well worth looking into getting some replacement windows. 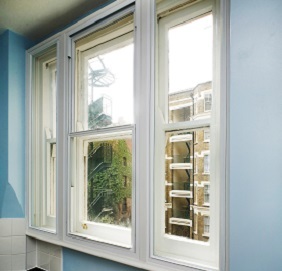 Here are some reasons to replace your old uPVC windows, in exchange for some new ones. It’s very possible that your current uPVC windows are letting in draughts and are therefore not performing as efficiently as they should. They could be letting in a draught because they’re single glazed. In the modern world, single glazed windows are outdated. At Cliffside, all our windows are available with double glazing, which provides an extra pane of glass for added warmth and security. If you know that your window is double glazed yet there is still draughts, it most likely means that a seal in or around the window isn’t working correctly and is letting in cracks of air, which leads back to an initial shoddy installation. If your windows are made from an older type of uPVC, they may have started to yellow. This can ruin the aesthetic elements of your home and make it look uncared for. Modern uPVC windows have advanced enough to make it so yellowing is not a problem and they can now look great for years to come with little to no maintenance required. With many different styles and variants available, Cliffside has something to suit every kind of property, be it period or modern. You don’t have to get the same kind of windows you had before. You could get something like sash windows or bay windows to reinvent the appearance of your home. If your windows are old, they’re more vulnerable to things like break-ins as they may have become flimsy over the years and if there’s visible damage there is even more cause for concern. Be on the lookout for things like rotting or cracked window frames. If you notice an abundance of mould or dampness on your window frames, it’s a sure sign that your windows are cracked and therefore not insulating your home the way they should be. Having frames like this also makes your house look worse and reduces the value of your property. 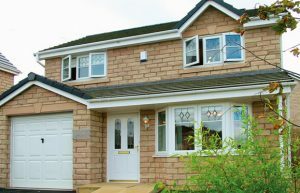 The modern uPVC windows from Cliffside are also great at reducing the level of outside noise that is heard within your home thanks to their inclusion of double glazing. It’s not just windows we offer, there’s also doors, conservatories, and porches. If you’re interested in making an enquiry, you can do so by contacting us, you can also browse our website for more information.